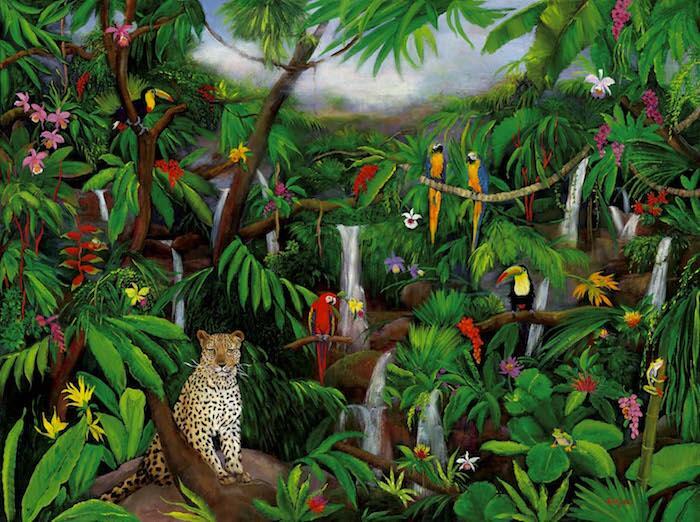 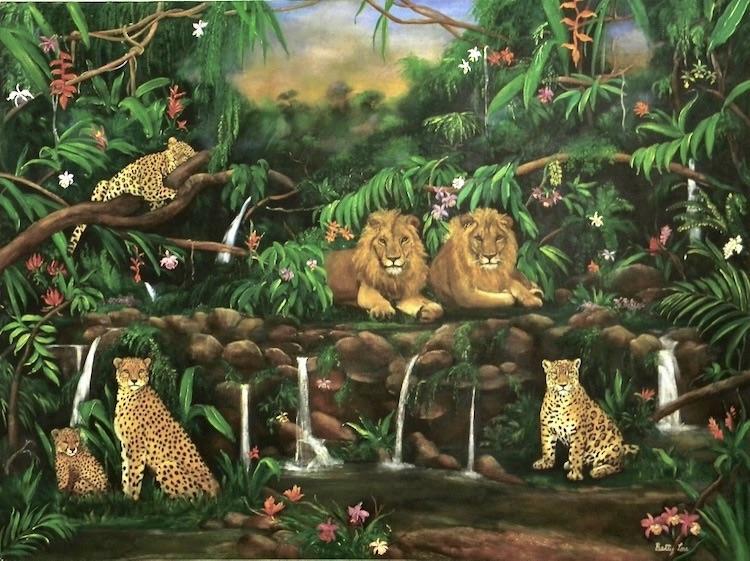 A Wild Life Painting of a Leopard and tropical Birds in a Cloud Forest setting. 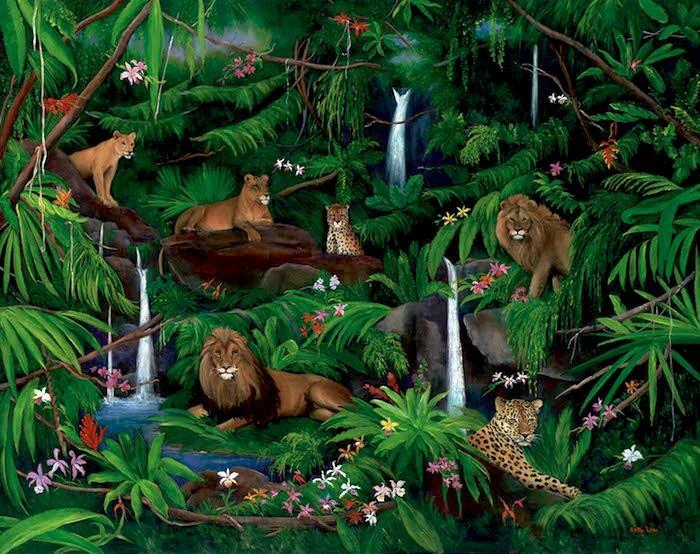 A Wild Life Painting of Lions in the Tropical Rainforest. A Wild Life Painting of White Tigers, Pandas and a Koala in the Rain Forest. 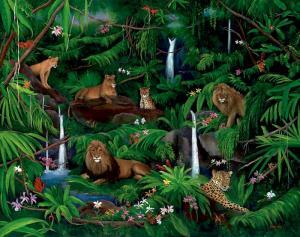 A Wild Life Painting of a Tiger, Lion, Leopards and other Creatures in the Rain Forest. A Wild Life Painting of a Tiger, Lion, Leopard and other Creatures in the Rain Forest. 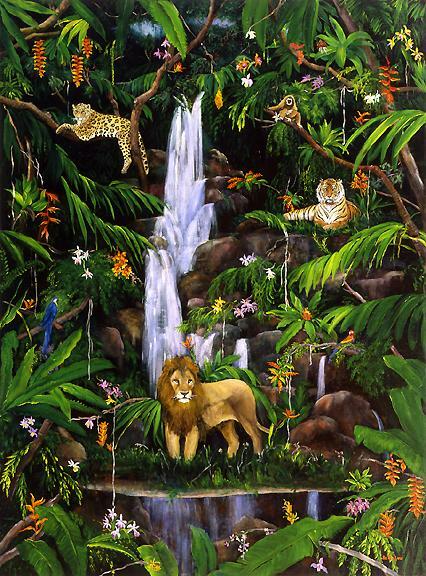 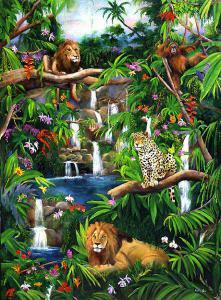 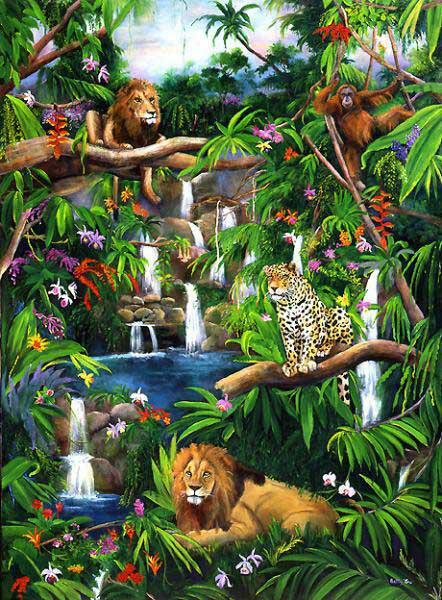 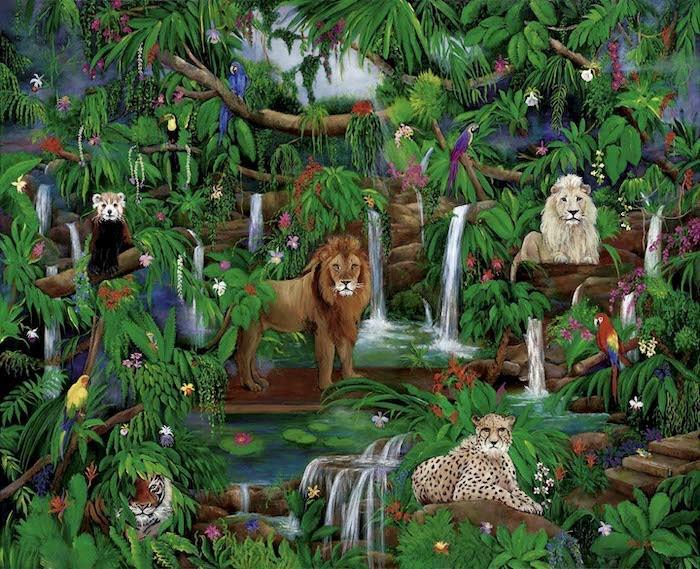 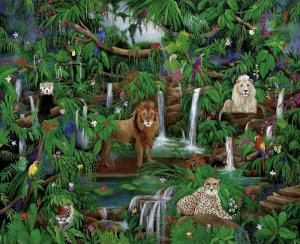 A Wild Life Painting of Lions, a Leopard and other Creatures in the Rain Forest. 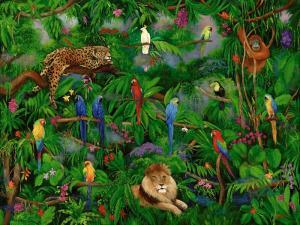 Please add $50.00 for an embellished Giclee.. 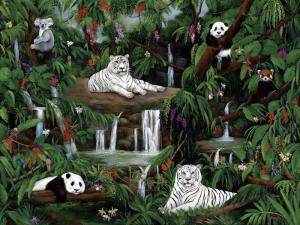 Please add $50.00 for a Image Wrapped Canvas Giclee.